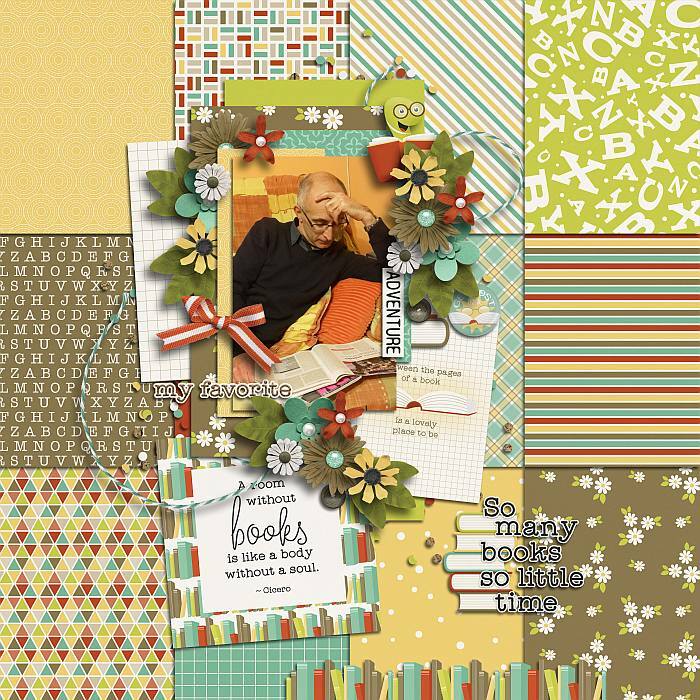 Love the patchwork quilt looking background of your page! Love how you combined so many different prints! So so neat! I love the different patterns and your shadowing, Kriztina! Love the quote and the sectioned background! Great way to highlight all those fun papers. Again, awesome job on the clusters, as well as the use of the quotes.